The Siebel Scholars program recognizes the most talented graduate students at the world’s most prestigious graduate schools of business, computer science, energy science, and bioengineering. Since 2000, exceptional graduate students are selected as Siebel Scholars, earning $35,000 toward their final year of studies. The Siebel Scholars program is funded and run by the Thomas (BA History ’75, MBA ’83, MS CS ’85) and Stacey Siebel Foundation. 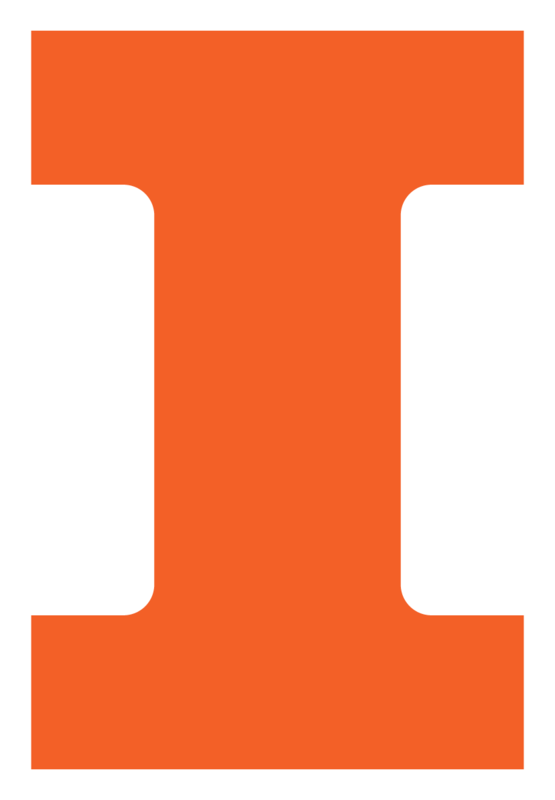 Meet the 2017 class of Siebel Scholars from CS @ ILLINOIS. Passionate about computer-aided education, Chamila Amithirigala is enrolled in the five-year BS-MS computer science degree program. She was part of a team that created Lecture Helper, an app that facilitates communication between instructors and students in large classes. Beta tested in CS Associate Professor Craig Zilles’ Computer Architecture course (CS 233) in 2014, Lecture Helper allows reserved students to ask questions anonymously, while providing instructors with real-time feedback on their lectures. Amithirigala is very active in STEM outreach and the campus Society of Women Engineers chapter, serving as the group’s webmaster and secretary. Recently, she became the regional communication editor, sharing best practices with 52 SWE chapters nationwide. The past two summers, she has interned at LinkedIn, where she developed a patent-pending feature for the company’s iOS app and worked on an unreleased iOS product utilizing educational content from Lynda.com. Spencer Gordon is conducting research to characterize the complexity of a group of search problems related to the computation of equilibria in games and markets. Working with Assistant Professor Ruta Mehta, Gordon is specifically addressing continuous local search (CLS) problems, which include numerous optimization challenges in mathematical programming and game theory. As a student at Brown University (BS computer science 2014), Gordon built a web block-based editor for a functional programming language that is part of the nationally known Bootstrap middle school programming curriculum and software. He was also the head teaching assistant for a new course on formal methods for software design. After earning his bachelor’s degree, Gordon worked at YouTube, where he helped create and launch the HTML5 live streaming video player; he also designed and built tooling and analytics that enabled his team to better understand live streaming performance. Understanding unstructured text data like news articles, product reviews, research papers, and social media posts is critical to Internet searches and ad placements. However, extracting and managing knowledge from this type of data is a major research challenge. A member of Professor Jiawei Han’s Data Mining research group, Wenqi “Maggie” He is designing data-driven models for semantic analysis of unstructured text data. She has explored a new problem in distant supervision and developed a partial label embedding method for fine-grained entity typing. In recent experiments on three public datasets, her method outperformed conventional fine-grained typing systems in both precision and recall. A graduate of Fudan University (BS software engineering 2015), Ms. He has interned for eBay and Twitter the last two summers. A member of CS Professor Tao Xie’s Automated Software Engineering research group, Dengfeng “Davis” Li is conducting research to ensure the security of private data on Android-based mobile apps, which people use for personal banking, online shopping, and health tracking. Using natural language processing and program analysis techniques, Li also addresses robustness and stability issues, proposing a method to prevent an app from crashing when a user enters an incorrect data type in a field. Li interned at Tencent, the maker of the popular WeChat instant messaging app, where he addressed limitations of existing software testing techniques. More recently, he worked as a research intern at Fujitsu Labs of America. As an undergraduate at Penn State University (BS electrical engineering and CS 2015) Li was the lead designer of an Android app that identified cyberbullying or sexual solicitation activity on a child’s phone and then notified the parents. A member of CS Assistant Professor Aditya Parameswaran’s research group, Vipul Venkataraman is exploring how to use crowdsourcing to solve problems in data analysis that are currently not possible to be fully automated by machines. Specifically, he’s working on a project to crowdsource the captioning of video lectures for hearing-impaired people, and a project to crowdsource prostate cancer diagnosis at scale. Venkataraman was very active in research and mentoring activities at the Indian Institute of Technology (IIT) Bombay, where he earned his bachelor’s degree in computer science with honors in 2015. Among his IIT accomplishments were: leading a team of 18 seniors who mentored younger students struggling with coursework, administering foreign language classes, supporting visiting international students via exchange programs, and helping incoming freshmen successfully transition to college life. In 2014, he interned at Microsoft Research, where he developed efficient sampling techniques for probabilistic programs. He recently completed an internship at BloomReach as part of the Attribute Extraction team. Congratulations also to Electrical & Computer Engineering doctoral student Hao Jan “Max” Liu, who works with ECE Assistant Professor Hao Zhu for being named a Siebel Scholar in the area of Energy Science.